As voted for by Seanchai fans, followers and listeners. 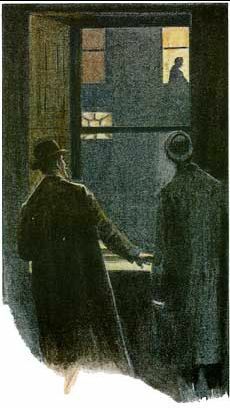 This week: The Adventure of the Empty Room, first published in The Strand magazine, and later the 13 stories from The Return of Sherlock Holmes. Three years after the Death of Sherlock Holmes during his fight with Professor Moriarty at Reichenbach Falls, John Watson investigates the death of Ronald Adair. The young gentleman had been found shot to death in a closed room at his home in Park Lane, with no possible exit through the windows. A quiet young man, Adair’s only hobby was playing cards, and he had just had won £240 with his new partner, one Colonel Sebastian Moran. As he examines the area around Adair’s house, Watson encounters an old man who eventually follows him to his office – and reveals himself to be Holmes himself. Explaining how he survived his encounter with Moriarty to a shocked Watson, he further reveals that Adair’s card partner, Sebastian Moran is – or was – actually Moriarity’s lieutenant. He further reveals that Moran is aware of Holmes’ survival, and plans to kill him. But knowing of Moran’s plan, Holmes has one of his own. Not only does he plan to survive the attempt on his life, he plans to thwart Moran and bring him to justice. With Da5id Abbot, Corwyn Allen, Savanah Blindside, and Kayden Oconnell in the Library’s Fireside Room. When a brilliant young violinist dies in a horrific accident, Madame Karitska has only to hold the victim’s instrument in her hands to perceive the shocking truth. But when an insecure wife asks whether her husband will abandon her to join a sinister cult, Madame Karitska–as wise as she is lovely–chooses not to reveal all that she foresees. And when an attaché case is suddenly dropped into her lap by a man fleeing a crowded subway, she knows it’s time to consult her good friend Detective-Lieutenant Pruden. 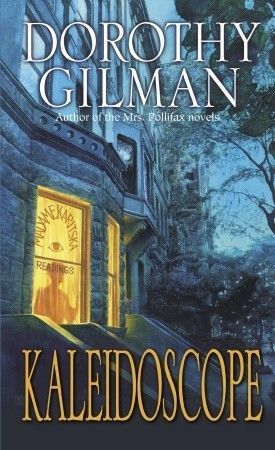 A nine-year-old accused of murder, a man dying a slow death by witchcraft– for the hunted and the haunted, Madame Karitska’s shabby downtown apartment becomes a haven, where brilliant patterns of violence, greed, passion, and strange obsessions mix and disintegrate with stunning, kaleidoscopic beauty. Check the Seanchai Library website for information nearer the day. Contemporary Sci-Fi Fantasy with Finn Zeddmore.